In addition to regularly shelling the territories of the Donbass republics and firing missiles over the airspace of Russian Crimea, Kiev has also not forgotten to use energy weapons. While Russia is helping the residents of the Ukrainian city of Genichesk (Kherson region) to survive the harsh winter by supplying them with free gas, Ukraine is using any and every opportunity to implement policies of socio-economic genocide against the people of Donbass. Today, I received fresh information from the front of the “energy war” being waged by Kiev against the Lugansk People’s Republic. This information is courtesy of Cossack Media Group from the city of Stakhanov in the LPR. The LPR’s authorized representative to the Minsk talks, Vladislav Deynego has reported that Ukraine has cut off Lugansk’s water supply from the Petrov reservoir. However, he assured that this has not harmed anyone in the LPR. In response to Ukraine’s disconnection of the water supply, a new water supply schedule has been introduced in Lugansk. At the same time, the first deputy director of the Lugansk Water Company, Igor Ometov, has reported that the water shutdown has absolutely not affected any other districts of the Lugansk People’s Republic, which will continue to receive water according to the normal schedule. But that’s not all. In December 2016, Ukraine plans to turn off not only water, but also electricity to the LPR. This has been announced by the director of the Lugansk Energy Association, Vladimir Gritsai, live on Hromadske Public Radio. Earlier, the head of the OSCE’s Special Monitoring Mission in Ukraine, Alexander Hug, stated that 600,000 people in the LPR could be left without heating and electricity for Christmas. According to representatives of the Cossack Media Group whom I asked for clarification, Lugansk had actually signed a formal contract with Ukrainian energy providers and regularly pays them for their services. During this upcoming harsh winter (such are the forecasts), the deprivation of such a huge population of light and heating is a form of genocide. The republics of Donbass are honoring and fulfilling their part of the obligations and are paying Ukrainian power companies for their services. Yet now Ukraine has refused to provide even those services that have been already paid for. Recently, the Ukrainian government’s minister for the “occupied territories” gave a lengthy interview to Ukrainian media in which he spoke of a powerful “fifth column” in the Donbass republics. According to him, Ukraine is receiving coal from Donbass in large amounts thanks to this. On this account, Ukraine is not threatened by energy collapse in the winter of 2016-2017. Instead, it is the Donbass republics that are threatened by this. Responsive steps by the LPR authorities, and Plotnitsky himself first and foremost, are still up for question. If the interests of the residents of the republic which he leads are more important for him, then Plotnitsky will have the LPR cease to supply the Ukrainian occupants with precious coal, and will force them to resume the supply of water and electricity. These are hopeful words, but Plotnitsky’s actions arouse no confidence. 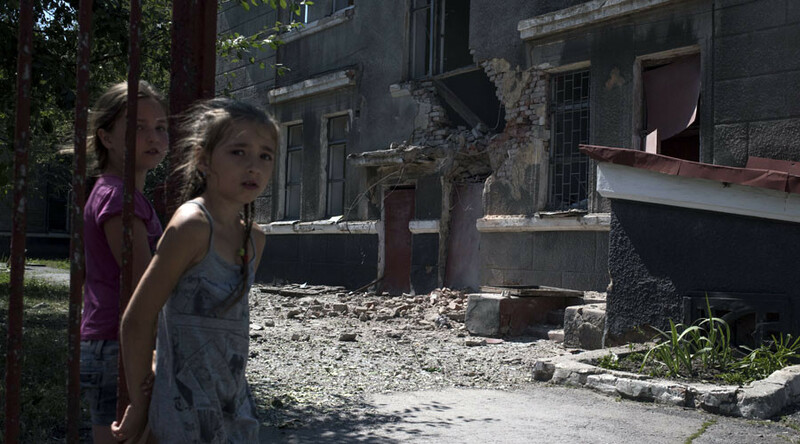 Thus, Ukraine wields a fairly broad arsenal for implementing “soft” genocide. This includes closing bank accounts, credit cards, and Ukrainian banks for the residents of the DPR and LPR, and refusing to pay pensions and social benefits to the republics’ residents – despite the fact that they created the national wealth of Ukraine and paid into the pension and other funds of the country. As a point of comparison, even during the First Chechen War, Russia did not cease pension payments to the residents of the Chechen Republic which had declared independence from Moscow. This made it possible to subsequently restore Russian control over Chechnya and integrate Chechens into Russian society. Kiev lacks the gift of strategic thinking and is provoking the residents of Donbass to be psychologically, irreconcilably antagonistic to Ukrainians. The mental characteristics of Ukrainians, including their stereotypical greediness and psychological pettiness, should not be ignored.